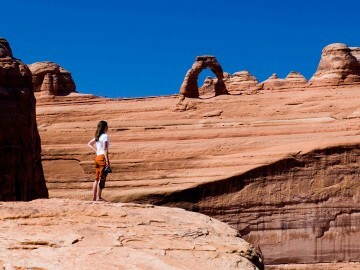 Since the first time you laid eyes on a photo of Arches National Park you’ve been itching to go on an ultimate Utah adventure. 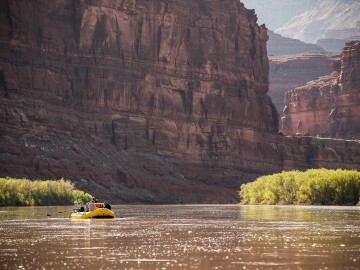 Moab, the hub of red rock country, is on your radar. 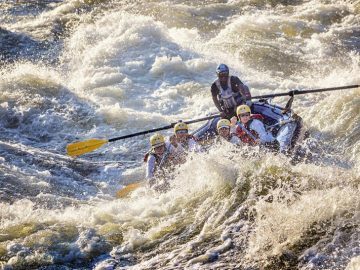 Perhaps you’ve even thought about rafting the Colorado River through Cataract Canyon. But then what? 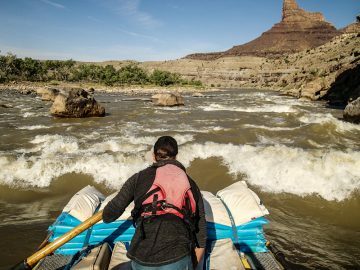 Here are five Moab-based experiences that are guaranteed to take your vacation plans from great to epic. Slip into the lost world of a slot canyon. You don’t have to be an expert climber to try your hand at canyoneering. For a full-on slot canyon adventure, complete with rappelling down waterfalls, hook up with Desert Highlights for their full-day Pleiades Canyon trip. 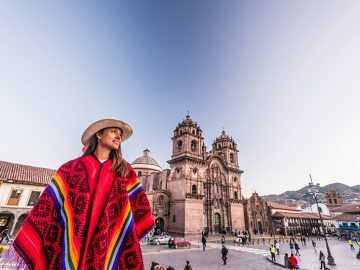 As you explore this spectacular canyon you’ll descend seven different waterfalls (yes, seven!) through an exotic world of narrow sandstone walls—the ultimate intro to canyoneering. See Canyonlands from a bird’s eye view. And by that, we mean from the basket of a hot air balloon. Set out on a sunrise adventure with Canyonlands Ballooning for a one-of-a-kind perspective of canyon country. As you soar some 3,000 feet into the air, you’ll take in 360-degree views of the colorful hoodoos, amazing arches and meandering river canyons that make up this majestic landscape. 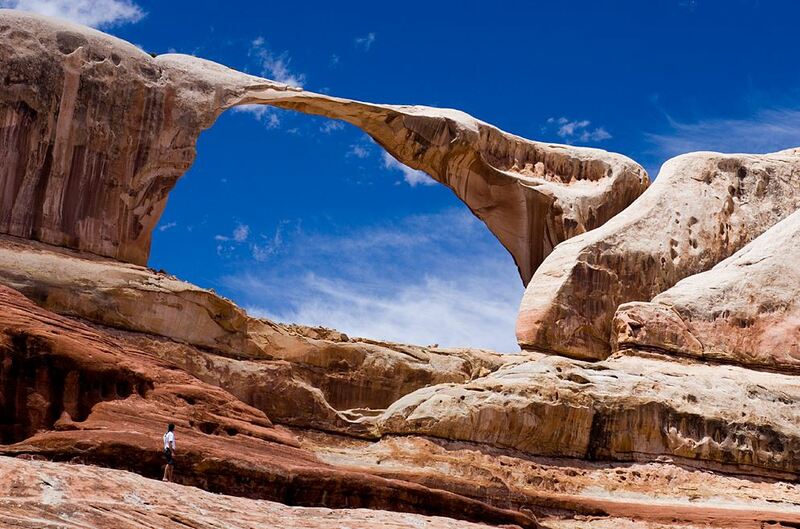 Go behind-the-scenes in Arches National Park. You can head right into the main entrance of Arches National Park and see the sights with all the other folks who are trying to take a selfie in front of Delicate Arch. Or, you could opt for a 4×4 Backcountry Interpretive tour of Arches with OARS. That’s right, we’ll take you in the “back door” of the park for a half-day tour where you’ll experience off-the-beaten trails, and other breathtaking sights away from the crowds. Sundowners at Dead Horse Point State Park. 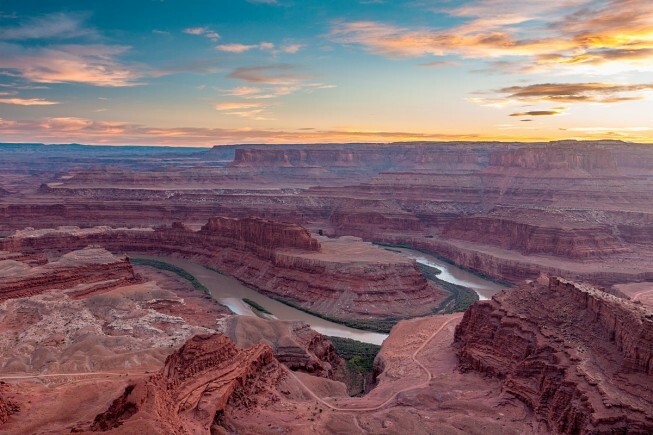 For an incredible evening on a cliff 2,000 feet above the Colorado River, pack a picnic dinner and head to Dead Horse Point State Park just outside of Moab. Park at the visitor center and wander along the 1.5 mile East Rim Trail to Dead Horse Point. This is where you get to pull out your favorite libation, stare off at the breathtaking panorama, and watch the sky turn from brilliant blue to hues of orange, yellow and red before a billion stars come out over Canyonlands National Park. Follow in the footsteps of John Wayne. Hollywood has been filming popular Western films in the Moab region since 1949, and with Hauer Ranch Horseback Riding you can ride where John Wayne rode as you visit popular movie sites from the past. If that’s not your thing, head out on a full-day excursion in the nearby La Sal Mountains with a wrangler who will lead you through babbling creeks and pine forest to cool, alpine views at 9,500-feet. 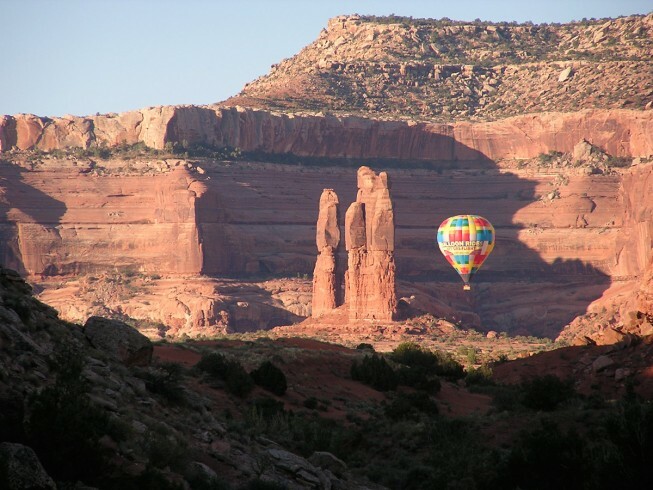 Photos: James Kaiser, Canyonlands Ballooning, Lorcel G.